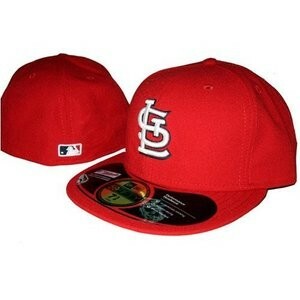 A Cardinals fitted cap, a St. Louis hip-hop wardrobe staple. Head over to the Smoking Section today to listen to and download Nato Caliph's new single, "Anomaly." The tune features a veritable all-star team of St. Louis hip-hop: Besides fellow Force members Tef Poe and Rockwell Knuckles, "Anomaly" has contributions from Family Affair and Kyjuan from the St. Lunatics. Syrupy, dark grooves and stuttering hi-hat beats collide as the men flesh their lyrical muscles. The single can be found on Caliph's R.E.A.C.H. EP, which is due to be released sometime in June.